He is currently a Professor and holds a Chair in the Tax and Transfer Policy Institute at Crawford School, ANU. His business career before entering politics in 1987 was as a company director and business consultant and included roles as Foundation Executive Director, Macquarie Bank Limited and as a Trustee of the IBM Superannuation Fund. 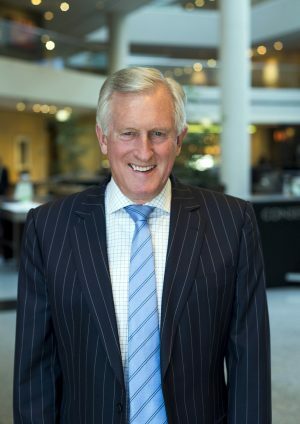 Since leaving politics Dr Hewson has been Chairman/Director of a host of public and private companies across a range of industries, including as Chairman of ABN Amro Australia, Chaired two charities and a number of other not-for-profits. He also writes and comments widely across all media. Dr Hewson has a long involvement with the issue of climate change and presently Chairs the Asset Owners Disclosure Project that surveys, rates and ranks the world’s largest asset owners in terms of their management of climate risk.